I can't say 2010 was kind to me, or that it was a good year. It was a year, it passed, stuff happened. Enough said. Okay, maybe I won't leave it at that. When have I ever left things alone? I didn't reach all of my writing goals, but I did progress with a few things. Dead As Dreams still needs to be completed, but I have less than one third of the rough draft left, and I can see the ending far down the tunnel, a little pinprick of light (that has been going through one huge arse mountain since I started writing it back in 2005). I completed and revised some short stories, as well as sending many stories out to slush piles. And I successfully survived my first class for my M.F.A. program. I didn't want to depress myself by listing a category for acceptances when I had none. True, it would be nice to have those acceptances, but looking at my numbers, I'm pretty damn proud of myself for submitting that much. What does it mean? That I haven't given up. Perhaps 2011 I'll happily have an acceptance category, but for now, all I can do is keep going! So, how did you do for the year? Achieve all your writing goals, feel like you accomplished a lot, even if you don't have any acceptances as proof? It's always useful to take a look back on the year that's just passed, so you can think of what you want to do in the coming year. Some people may roll their eyes at resolutions, but many people feel that sense of a new beginning when the old year comes to a close and a new one begins. It's a circle, the snake eating its own tail, but there is still a beginning and an end, the end being a new beginning. How to begin 2011? Good question! First, if you want to work alongside other writers and make a goal for each month, keep Writing Quest in mind. I just started Writing Quest - January up on Facebook. The event is open to the public, and I'll continue to host a Writing Quest each month. If you don't have a Facebook account, feel free to post your goals here! I'm feeling pretty good right now, since I just came off a 2 hour stint of writing, ending with 7 new pages and the completion of a short story rough draft. This means I must make sure to rein in my desire to list outlandish goals and think I am Super Woman who can complete a list of countless resolutions. Got to beat down that story completion high (who needs drugs when you can just write?). If you've been watching Twitter, I've been poking some fun at resolutions today. So, I'm going to list some GOALS for the year. For 2011, the list will not be exhaustively long. Promise. 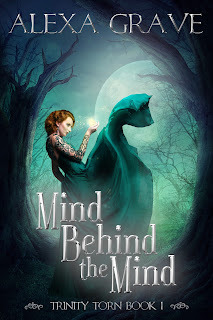 - Revise Mind Behind the Mind once more, and start sending it to publishers (since wait time can be up to a year, it might only hit the slush of one publisher). - Complete the rough draft of Dead As Dreams. - Don't start anything new! Got to finish some things first. I include Fate stories in the Not New pile - hell, I had that series idea 3 or 4 years ago (hence, Not New). - Hey look at that, my study is clean, and I just spent 2 hours in it, writing, so I don't need this on my list this year! - Survive my M.F.A. program once I start full time in June. That's it. Short and sweet. Of course I intend to keep up with my blog, as well as critiques, but those don't need to be on my goals list. One of these days I'll get to catching up with my writing forums and listserves, but I'm pretty sure that's not going to happen this year. What are your goals for the year? Or have you chosen to make a resolution or two? I'd be happy to hear what everyone else has planned! Wonderful goals, Lori! I will encourage you to achieve them through the Writing Quest Community - what an incredible idea that was! Thank you for keeping it up so diligently. And, kudos to you for submitting. There are so many writers out there who never sent in a single sub in 2010. You're already ahead of the game. Thanks, Heidi! Glad you like Writing Quest. And this year, I WILL have an acceptance (my bad luck has to break some time)! Fringe - This Decade's X-Files? Critters Workshop - Expanding to Other Genres!